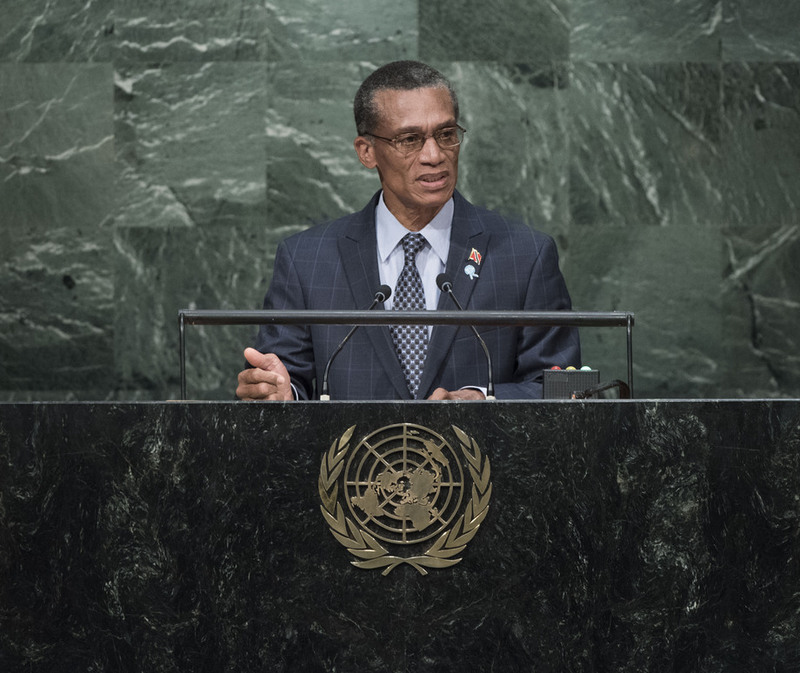 DENIS MOSES, Minister of Foreign and Caribbean Community (CARICOM) Affairs, of Trinidad and Tobago, said his country’s prospects for sustainable development were inextricably linked to the safety and security of its people. However, Trinidad and Tobago’s ability to provide such safety and security had been increasingly stretched given its location in a region heavily impacted by the trafficking of small arms and light weapons connected to the drug trade and its criminal networks. Consequently, the country and CARICOM subscribed to the aims and objectives of the Arms Trade Treaty, a critical vehicle for development. Now that the international community accepted climate change as a threat to existence, he noted that it would weigh most heavily on small island developing States and least developed countries, crippling their ability to react to external shocks of their social, economic and ecological systems. Recognizing the need for bold and responsible action on the part of all Governments, Trinidad and Tobago had submitted its Intended Nationally Determined Contributions to the United Nations Framework Convention on Climate Change ahead of target. It was his expectation that any credible agreement from Paris set the world on a path to decarbonisation of the global economy before the end of the century. Finally, while he expressed encouragement by the easing of tensions in the northern Caribbean with the resumption of dialogue between the United States and Cuba, Trinidad and Tobago was concerned by the border controversy between its neighbours, Venezuela and Guyana. This dispute required settling by Pacific means in keeping with the Charter. Moreover, as the General Assembly was the only grouping of States that possessed the legitimacy to act on behalf of the international community, Member States must “spare no effort” to make it a more effective and dynamic instrument in the elevation of all peoples and defence of their rights.